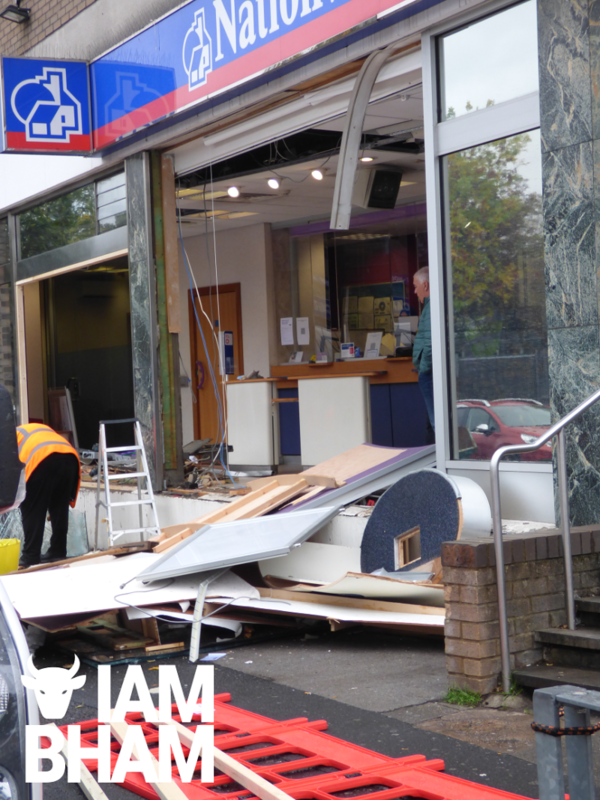 An inner city building society was targeted by daring criminals early this morning in the Small Heath area of Birmingham. 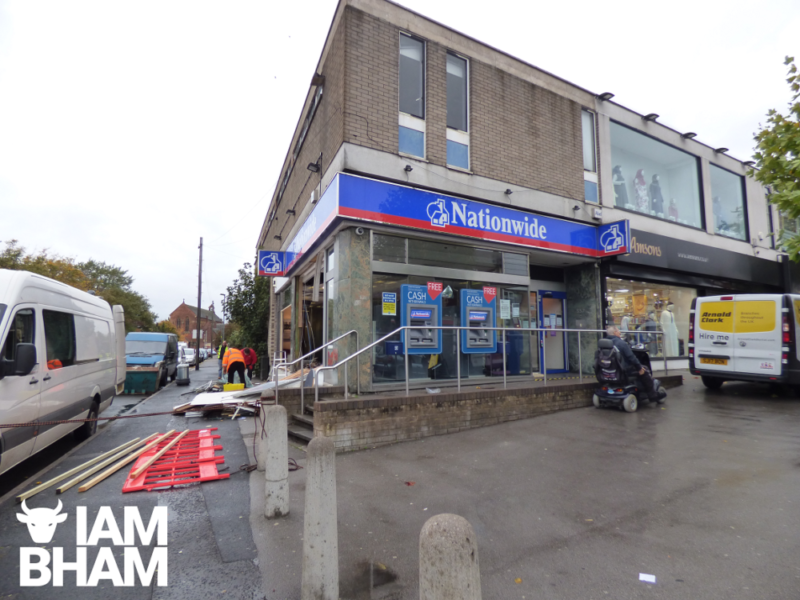 Would-be burglars smashed their way into the Nationwide Building Society in Coventry Road but reportedly failed to get away with any cash. 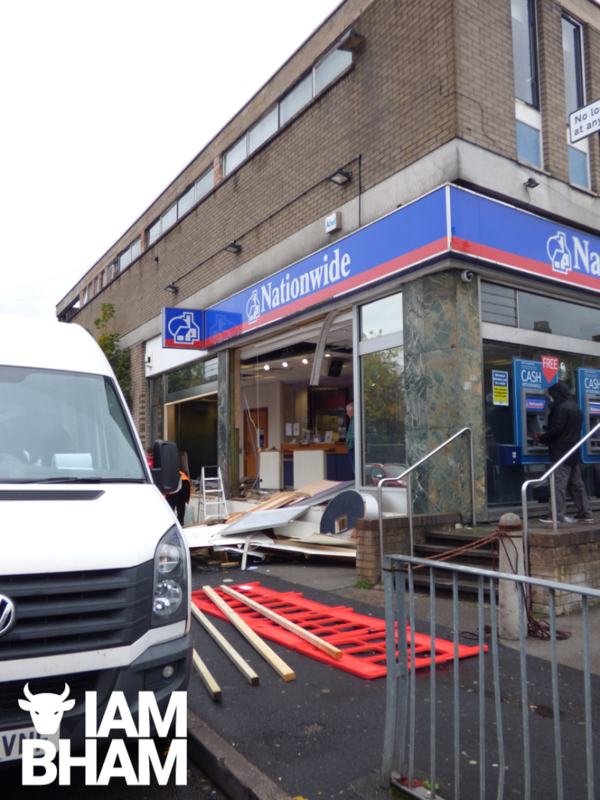 In the early hours of Friday 12th October, a large white van forcefully reversed into the side of the Nationwide Building Society, situated on the corner of Chapman Road and Coventry Road. The impact resulted in the large wall-sized window of the building to come crashing onto the pavement. 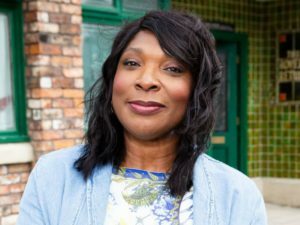 However, despite gaining access to the premises, the criminals reportedly failed to steal the cashpoint machine inside the building and are then believed to have fled the scene of the crime in an Audi. The building society suffered structural damage during the raid, and the stormy weather caused further devastation to the interior, after the place became exposed to the elements. The area immediately around the building was left littered with glass, masonry, metal, and other debris following the failed robbery attempt. 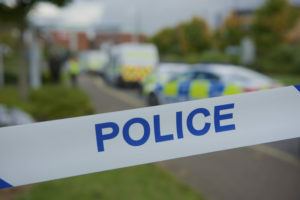 Police have opened Chapman Road to traffic this afternoon but a section of the pavement is still closed to the public due to repair works on the building. A team of contractors have been clearing away the debris and throwing it into a skip, while new glass and building materials are brought in to fix the wall. 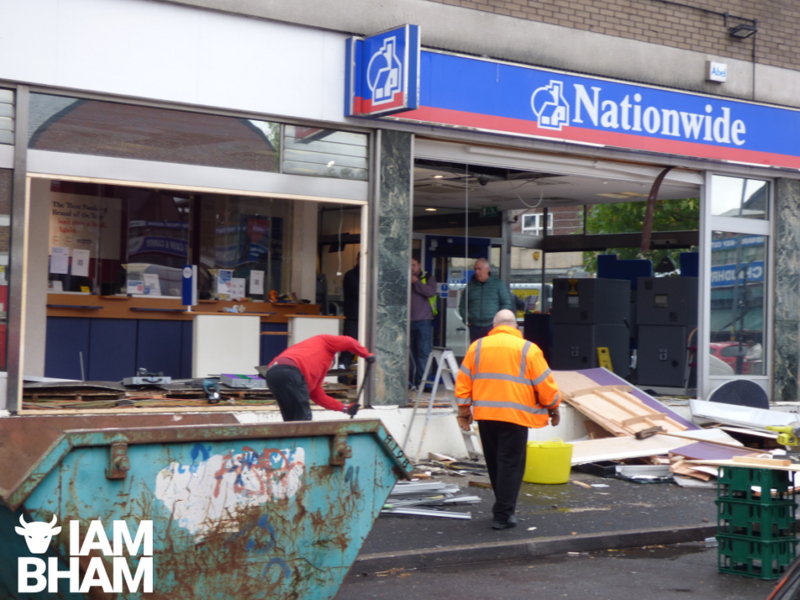 A lorry was used to wreck the local @AskNationwide Building Society in Small Heath, Birmingham last night in order to ransack it!! 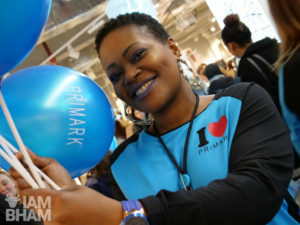 “We are aware of an incident at our Small Heath Birmingham branch. This happened in the early hours of the morning and no Nationwide employees or members were involved. 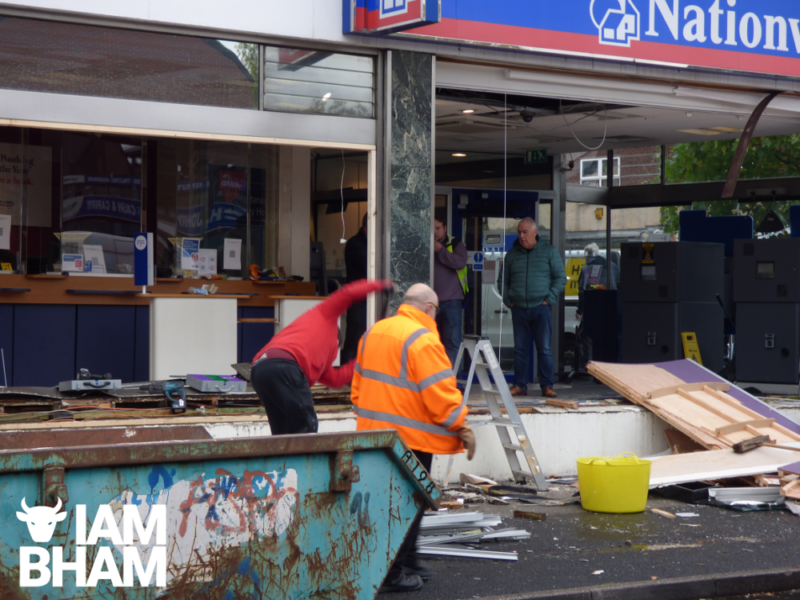 The cashpoints outside the building society are open but the interior is closed to customers until repairs have been completed. 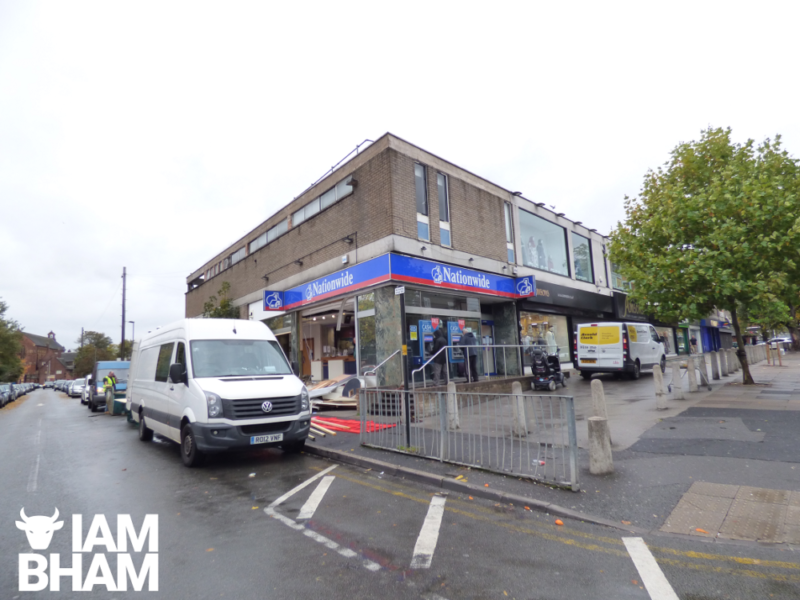 The force later added: “Police are investigating a ram raid at a branch of Nationwide on Coventry Road in Small Heath today (12 October). 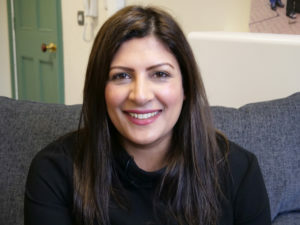 Enquiries continue and anyone who has information is asked to contact police via Live Chat at west-midlands.police.uk between 8am and midnight, or to call 101 anytime. Crimestoppers can be contacted anonymously on 0800 555 111. Please quote crime reference 20BW/234397F/18.